You’ll find my blog to be a wealth of information, covering everything from local market statistics and home values to community happenings. That’s because I care about the community and want to help you find your place in it. Please reach out if you have any questions at all. I'd love to talk with you! 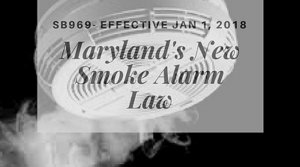 Understanding the New 2018 Maryland Smoke Detector Law! The new 2018 Maryland smoke detector law has created a lot of confusion among homeowners and Realtors alike. Homeowners are concerned that since it is a law will something happen to them for not being up to code. Realtors are concerned because when a homeowner sells, they take some liability in knowing the laws and what updates have to happen to bring a home up to code. I have created a video below to clear up a lot of the confusion and concern wrapped around the new law. Please remember one thing; the fire department does not barge into people's homes and arrest them for not having smoke detectors. The fire department is concerned, however, for the life safety of all individuals, it responds to. When the Office of the State Fire Marshall created this law, it was to instill the seriousness of having a smoke detector inside a home and making sure it works. I have included some resources below the video. Also, if you still have some concern, please do not hesitate to contact me. Call: 410-212-1503. I will be more than happy to give you the resources you need to make an appropriate decision. Office of the State Fire Marshal Media Release - Click Here! Every day, fire departments across this country run call after call for house fires where the smoke detectors were not working. 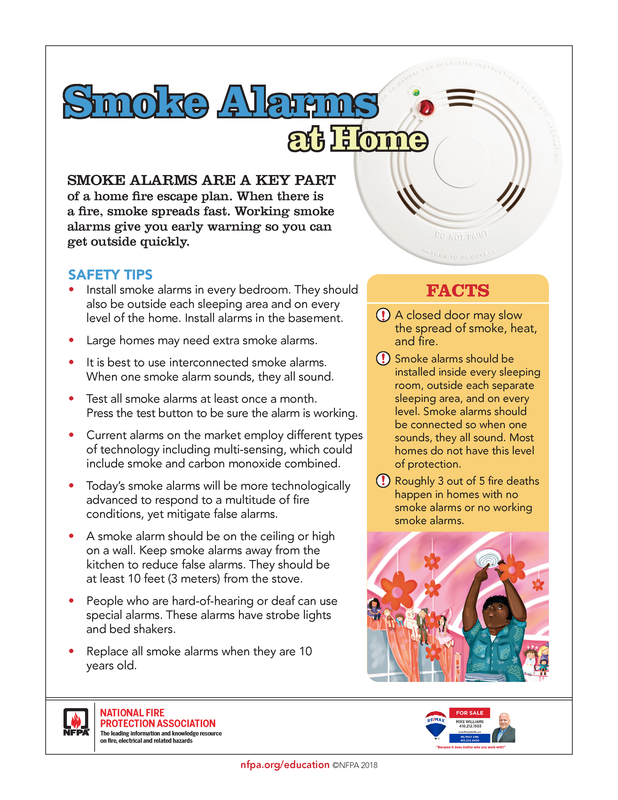 According to the US Fire Administration, three out of every five home fire deaths have occurred in homes where there was no working smoke detector. Change your clocks - change your batteries is an easy reminder that when we change our clocks for daylight savings time, we want to make sure we maintain our smoke detectors. The first line of maintenance is that we change the batteries and check our detectors to make sure they function. It is March. We just changed our clocks. Let's make sure our detectors are operating and will operate until Octoer, when the clocks change again. As long as we have a working smoke detector the risk of dying in a home fire is cut in half! Here are some additional tips in regards to fire safety. These tips are provided by the National Fire Protection Agency (NFPA). 1. Be sure to close the door. This is another campaign initiative altogether. A closed door dramatically prevents the spread of smoke, heat, and fire. 2. Be sure smoke alarms are installed in every sleeping area. To understand what a sleeping area is, please review the video above. Alarms are also required outside of sleeping areas and on every floor. 3. Test your smoke alarm each and every month! 4. Create a plan for your family. When a smoke alarm sounds, get out and stay out. However, when you are out, you need a place where everyone can be accounted for. This is for your safety and the firefighter's safety. A firefighter will go to great risk if he/she knows there is the potential to save a life. 5. Replace all smoke alarms every 10 years. Oh, by the way, if you know of someone who would appreciate the level of service I provide, please call me with their name and business number. I’ll be happy to follow up and take great care of them. Oh, by the way… if you know of someone who would appreciate the level of service I provide, please call me with their name and business number. I’ll be happy to follow up and take great care of them. Have you ever had that friend request on Facebook from a friend you already knew was on your friend's list? Only to find out that their account had been duplicated and "Hacked." Or, have you had that friend of yours or, not so friend of yours, tag something completely inappropriate and it ended up on your timeline? They thought it was hilarious and you, well, not so much! In this video today, I am going to discuss how to avoid this from happening to you! It does not matter if you are buying or selling a home, it can be quite an emotional and stressful journey. This is why you need a professional to help you achieve your desired outcome. In this wonderful world of the information age, many people think they can find all of the information they need online. This is true, but it still takes a world of experience to really use the information gathered. The 5 reasons you NEED a real estate professional to work with you are more important today then ever. 1. Paperwork, Paperwork, Paperwork, What is up with all this paperwork? State and federal regulations are constantly changing and each real estate transaction is guide by both. This causes a lot of paperwork to make sure that all parties are protected and no one is breaking the law. A true real estate professional is up to date on this paperwork and will guide you through what each page means to you during the transaction. 2. Is the simple part really the home search? Once you find the home of your dreams, it is time to enter into a transaction. This is the purchase and sale of said real estate for an agreed upon value and terms. During the transaction process, there are over 180 possible steps that need to take place. A professional real estate agent can help you with these steps and prepare you for what comes next in the process. This helps minimize that emotional roller coaster and prepare you for what may or may not happen. Maybe you think I am exaggerating and the 180 steps are easy to manage and you can handle the transaction yourself. However, after looking at the list of parties that you will need to be prepared to negotiate with, you’ll soon realize the value in selecting a real estate professional. When all parties are taken into account such as the buyer, seller, inspector, other agent, title rep, lender, etc. there can be at least 11 different people who you will need to be knowledgeable of, and answer to, during the process. “FSBOs tend to sell for lower prices than comparable home sales, and in many cases below the average differential represented by the prevailing commission rate." There is so much information out there on the news and on the internet about home sales, prices, and mortgage rates; how do you know what's going on specifically in your area? Who do you turn to in order to competitively and correctly price your home at the beginning of the selling process? How do you know what to offer on your dream home without paying too much, or offending the seller with a lowball offer? When having to make a choice, for many it is very difficult to take that leap from renting to purchasing a home. 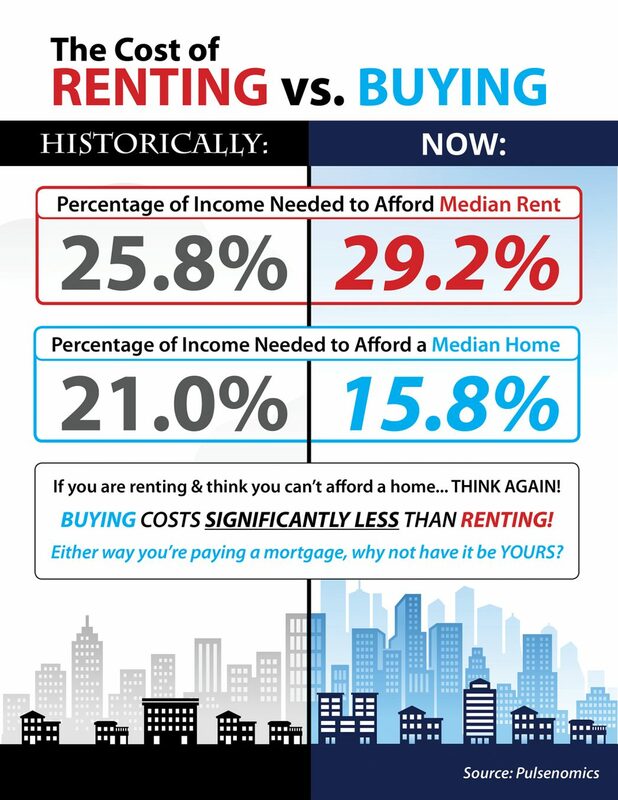 Most people that want to buy do not realize that they can actually afford to purchase a home. There are Maryland/Federal Loan programs (must qualify) that allow a no down payment option or grants/loans. When making an offer, seller credit can be requested to offset closing costs (this can be on top of no down payment loan options). On average, according to Zillow.com, the percentage of income needed to rent a median-priced home today is 29.2%. This is almost double the percentage of income needed to purchase a median-priced home at 15.8%. Every real estate market is different and before you or someone you know rents for another 12 months, find out if you can pay down your own mortgage this year. No matter what; whether you own or you rent, you are paying a mortgage of some sort. So, why not pay your own mortgage down. If you would like some additional information, please do not hesitate to contact me. I will be more than happy to answer all of your questions. What is the average rule of thumb for closing costs? 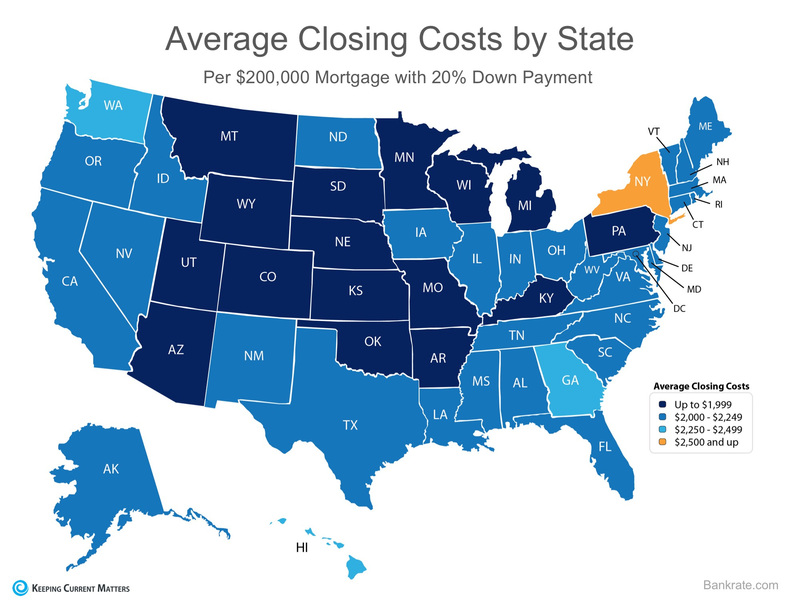 Bankrate.com compiled the average closing cost per state based on a $200,000 purchase with 20% down. Contact professional early! This will help you to determine your specific situation and help you understand the amount of money you may or may not need in order to purchase a home. Let's keep the surprises to a minimum right before closing. If you know of someone who is considering a home purchase, have them contact me so they will know exactly what it will take. "Michael assisted with selling a house for me. I couldn’t be happier with his performance. 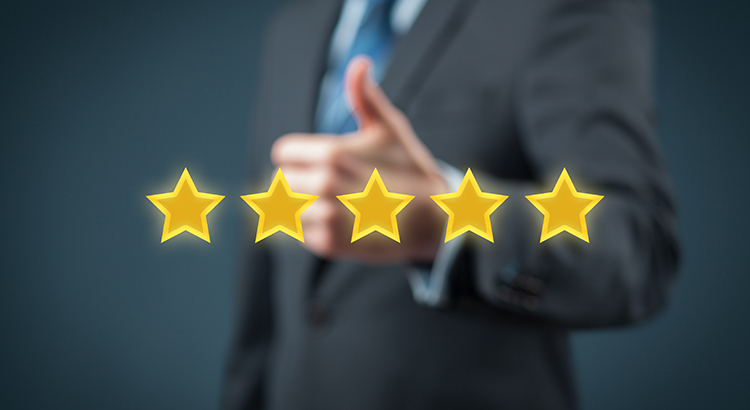 Throughout the entire process he was professional, ... more "
"From initial call requesting a meeting until the day we closed on our home, Mike Williams was professional, personable, impressive, and candid. He ... more "
"Mike Williams did an excellent job with the listing and selling of my home. I was out of state for over half of the home selling process and Mike was ... more "